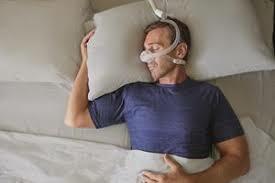 Royal Philips (NYSE: PHG, AEX: PHIA), a global leader in health technology, today announced the launch of DreamWisp, the first-of-its-kind over-the-nose nasal mask that allows patients with sleep apnea to sleep in any position they want. With its robust nasal cushion and top-of-the-head tube design, DreamWisp delivers a new level of comfort and freedom of movement, providing patients with the therapy option that best suits their needs. For additional information on Philips’ solutions for sleep and respiratory care, follow @PhilipsResp on Twitter or visit www.philips.com/DreamWisp.